Pearl - 04.2019 » Download PDF magazines - Magazines Commumity! 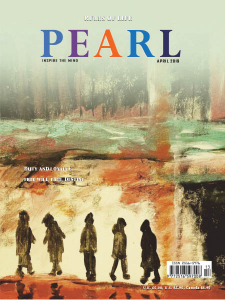 Pearl magazine delves into questions that agitate humanity. In these triubled times of ferment accumulating from all sides, when everything is at a boil at the same time, unparalleled in history, a quest runs through the people: many yearn for a cleansing of human foolish wilfulness and to see a better time; more and more people want to revert to the 'natural', to adapt to natural living conditions; people want to make life new, healthy, more beautiful and fairer. How many people would heave a huge sigh of relief if through their own sober, objective and unbiased scrutiny they could unerringly recognise comprehensive answers to burning human questions, and answers of such completeness and consistency as to enable them affirm their lives on the path of true upbuilding to only what is good!